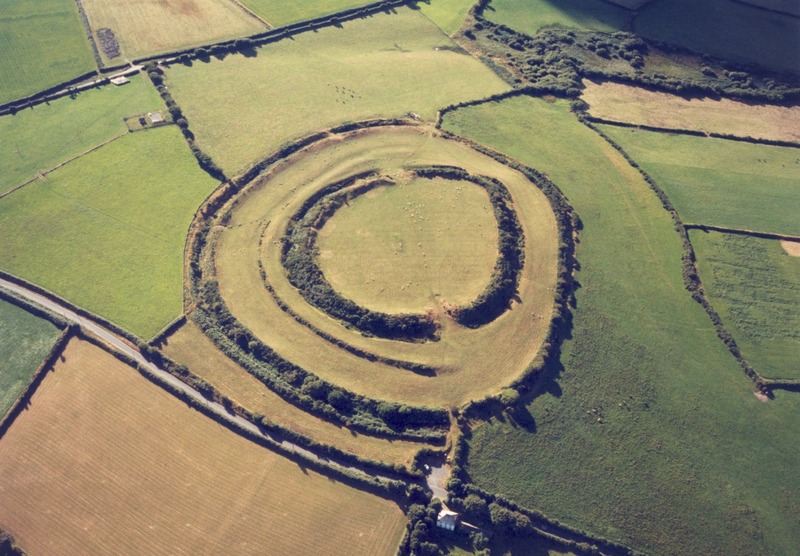 Warbstow Bury, a multivallate hillfort in north Cornwall, is one of the largest and best preserved hillforts in the county. Perhaps not the most well known of Cornwall’s ancient monuments, being ’off the beaten track’ in a countryside parish, but it remains popular with local dog walkers and is easily accessible to passing visitors. In an effort to improve the understanding of Warbstow Bury, we conducted a detailed analytical earthwork survey in October 2013, followed by intensive desk based research, and discovered some intriguing results. The hillfort has three ramparts which are accessible through entrances to the north-west and south-east. These are thought to have been original features of the hillfort but with later modifications; some in prehistory and others relating to more recent agricultural activity. The south-east entrance of the central rampart has an unusual inturned bank within the fort, which guides you towards the east as if to control and observe the movements of those entering the central area. The middle rampart is only present on the western side, a topic of speculation in previous research which suggested that this was a final, unfinished phase of construction. However, the results of our survey show that this rampart was in fact most likely to have been the first phase of construction at Warbstow Bury. This rampart was lost in the east as it is overlain by the most recent (and most impressive) inner rampart. We also found that the large inner rampart may have been adorned with blocks of glistening white quartz, a feature which is rare but certainly not unheard of. The best view from the hillfort leads the eye to the north-east towards Canworthy Water. The rivers and streams which meet in the area serve as boundaries to a number of modern parishes, and probably bounded prehistoric territories in a similar way. As the eye passes Canworthy Water, Ash Bury hillfort becomes visible 7km to the north. If the ramparts of Warbstow Bury were indeed faced with quartz, it would have certainly been visible from Ash Bury, and from numerous other contemporary sites for a great distance. While we could not find any earthwork remains of prehistoric activity within the hillfort, medieval and later features have survived. After the abandonment of the hillfort in the late Iron Age, the site is unlikely to have been used frequently for anything more than the summertime grazing of sheep in the early medieval period, which would have been lead to the uplands from Warbstow village via the hollow way originating at the Church of St Werburgh. It was later in the medieval period that the interior of the hillfort was ploughed, leaving slight traces of ridge-and-furrow. This was possibly just for a few seasons to grow crops, or to prepare the land for the placement of a pillow mound (artificial rabbit warren) which was constructed for the owners of the nearby Fentrigan Manor. Folklore would suggest otherwise – the mound has been named ‘King Arthur’s Grave’, with Tintagel close enough to impose tales of King Arthur’s burial on the hillfort, or alternatively ‘Giant’s Grave’, relating to tales of giants fighting upon the hillfort. Other, more circular mounds nearby may relate to one of many celebratory beacons set upon the high points of the country for Queen Victoria’s 1887 jubilee. In the 19th and 20th centuries, the outer ramparts were used as field boundaries, which explains the loss of some of the earthworks to the north-east, and perhaps gives a purpose for stone walling on the rampart tops which is visible in places on the eastern side. It is also possible that these were added during the prehistoric life of the hillfort, and taken advantage of later. Unusual features which were recorded at the hillfort were later identified as the remnants of Second World War activities on Warbstow Bury. Two sentry boxes were terraced into the inner rampart where the Warbstow Home Guard could watch over the landscape for enemy aircraft, with views as far as Wales and Plymouth. 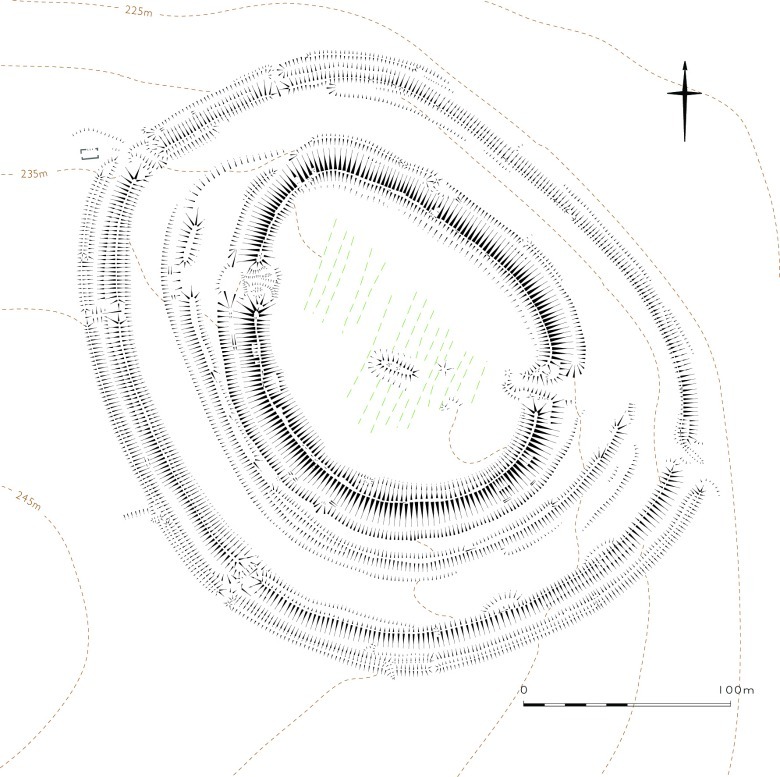 Earthwork survey plan of Warbstow Bury hillfort. Shown at 1:2500, reduced from original survey drawing at 1:1000. The slight extension to the middle rampart earthwork at the northern end, turning to run under the inner rampart, gives the clue that it is the earlier feature. ‘King Arthur’s Grave’, clearly overlying the ridge-and-furrow, is at the centre. Height Data: Licensed to English Heritage for PGA, through Next Perspectives™. The full survey report is available to download as a PDF and although long (36 pages!) there are interesting and detailed findings on the internal features, including notable similarities with other earthworks. A request for a geophysical survey has been made (but not yet confirmed) to determine any underlying features which may contribute more to the site interpretation, and which may also show any features relating to the internal work at the south-east entrance and any structures within the hillfort. Although there are still questions so far answered, were pleased by the results as they allow us to understand the hillfort in more detail, which will contribute to the ongoing efforts to care for, and protect the monument for the enjoyment of future generations of walkers and curious passers-by. Zoe Edwards has been working with English Heritage for 15 months as an Institute for Archaeology/Heritage Lottery Fund Placement Holder, and has gained experience in various non-intrusive archaeological techniques through this, and other projects with the Remote Sensing and Assessment Teams in Swindon and Portsmouth. Her particular interests lie in prehistoric and Roman archaeology, and the transitional period between them. 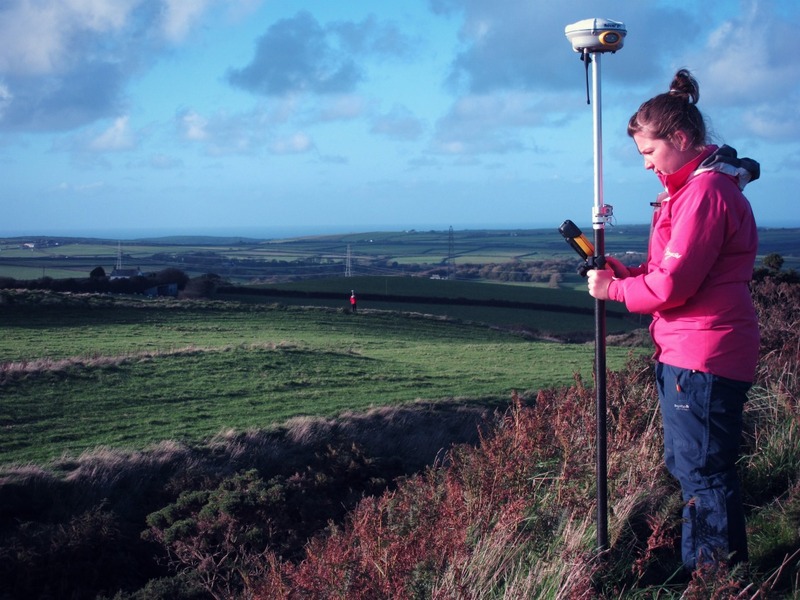 She looks forward to applying her new skills as an archaeological technician at a consultancy in Somerset after completing her placement in May 2014. Did anything happen with the geophysical survey? Its 2019 now. Who did you need to get a request from?